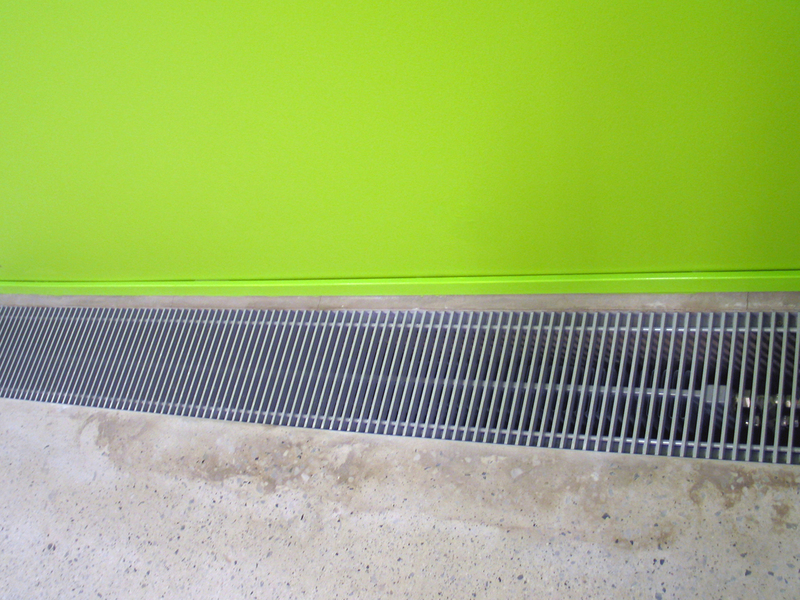 MEINERTZ Rolling Grilles for covering convector channels are manufactured from aerodynamic aluminium extrusions which are held together by strong steel springs with stable aluminium spacing pieces. The rolling grilles, which have a free cross section of 72%, are supplied in their standard execution with angle frames with mounting holes in vertical and horizontal flanges. 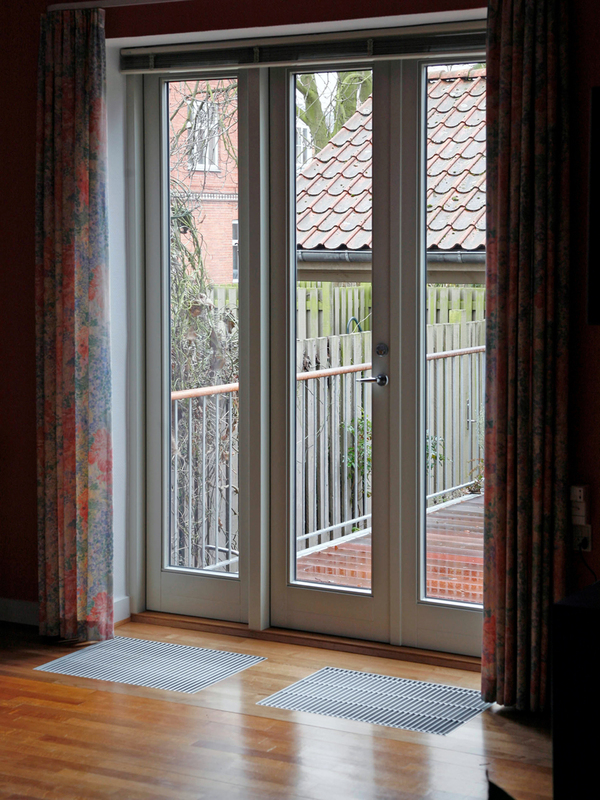 As an alternative the angle frame can be supplied with wall anchors. 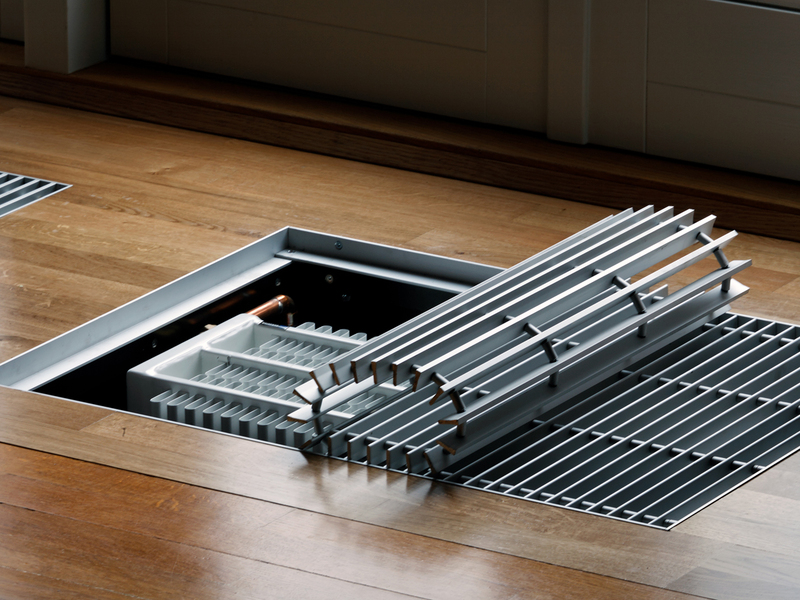 For mounting in wooden floors the grilles can be supplied in Z-frames. 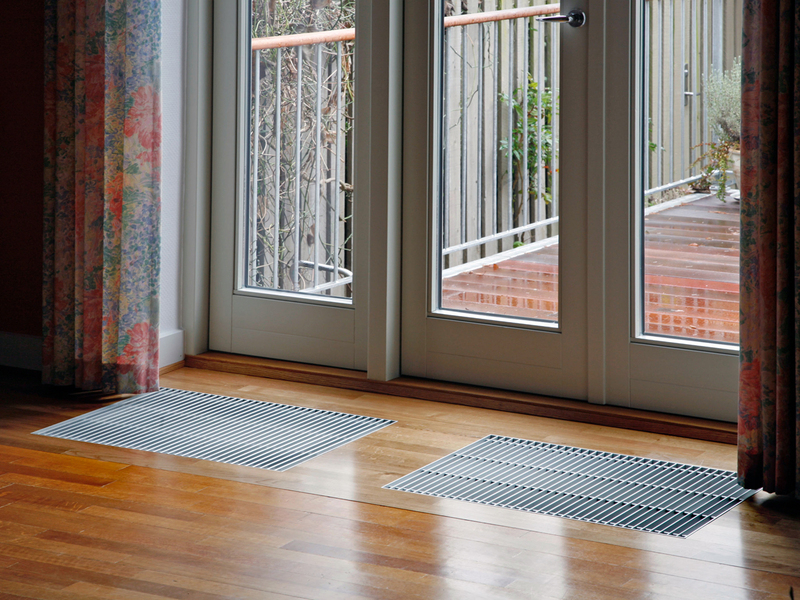 The grilles can be rolled up in order to enable easy convector channel cleaning.